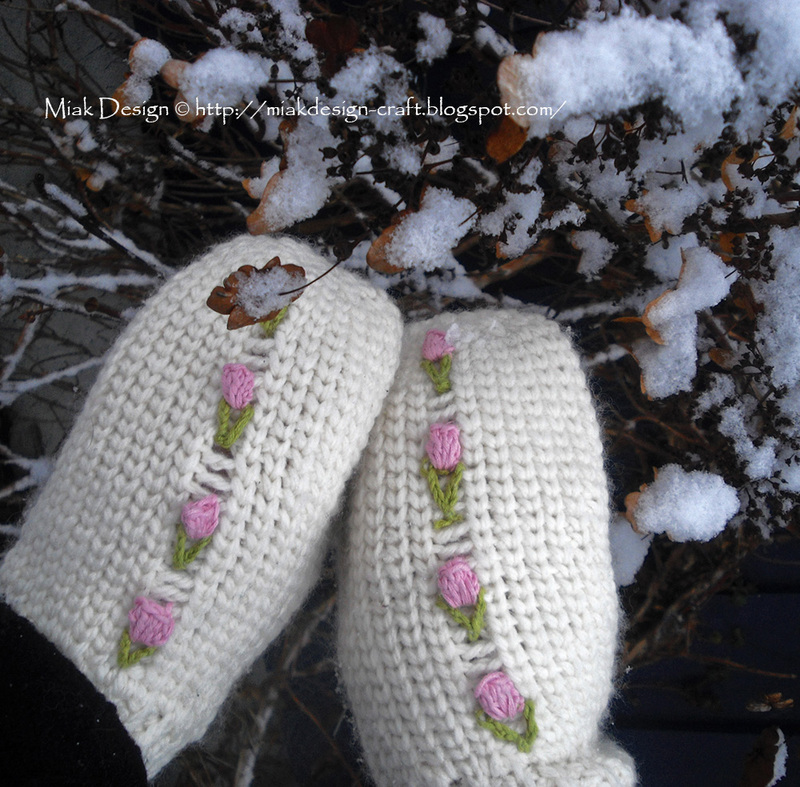 These romantic mittens with rose buds are good and warm to weare a cold winter day. 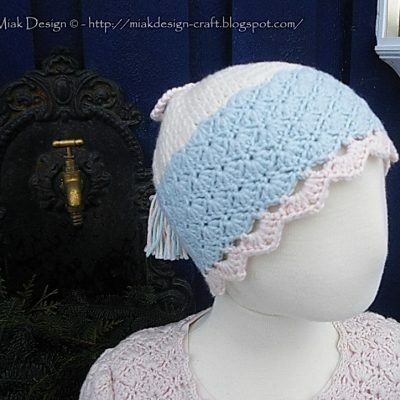 This is what we need when the temperature is falling! 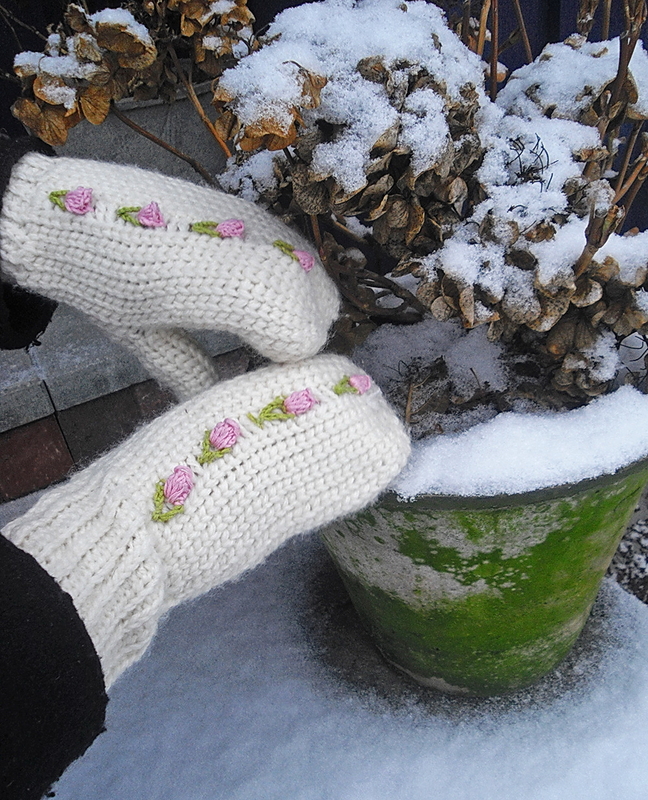 The mittens also have long cuffs to keep you nice and warm between mitten and jacket. 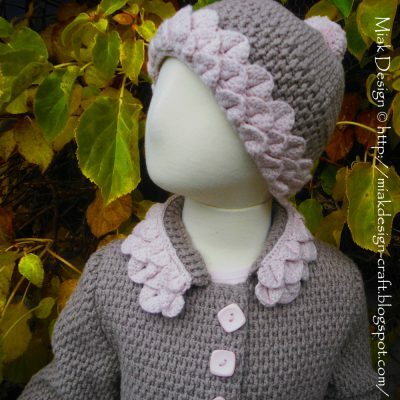 Nice looking too I think. 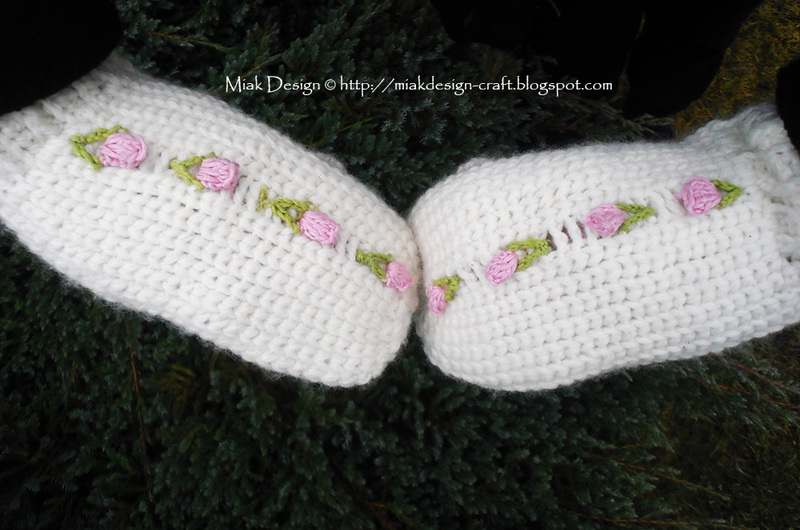 Make a set for yourself or to give to a friend. 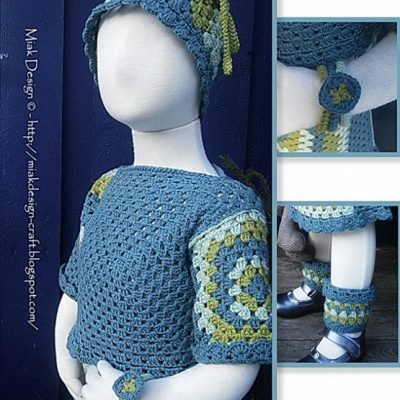 Look closely at the picture, they look knitted, but they are crocheted with single crochet. 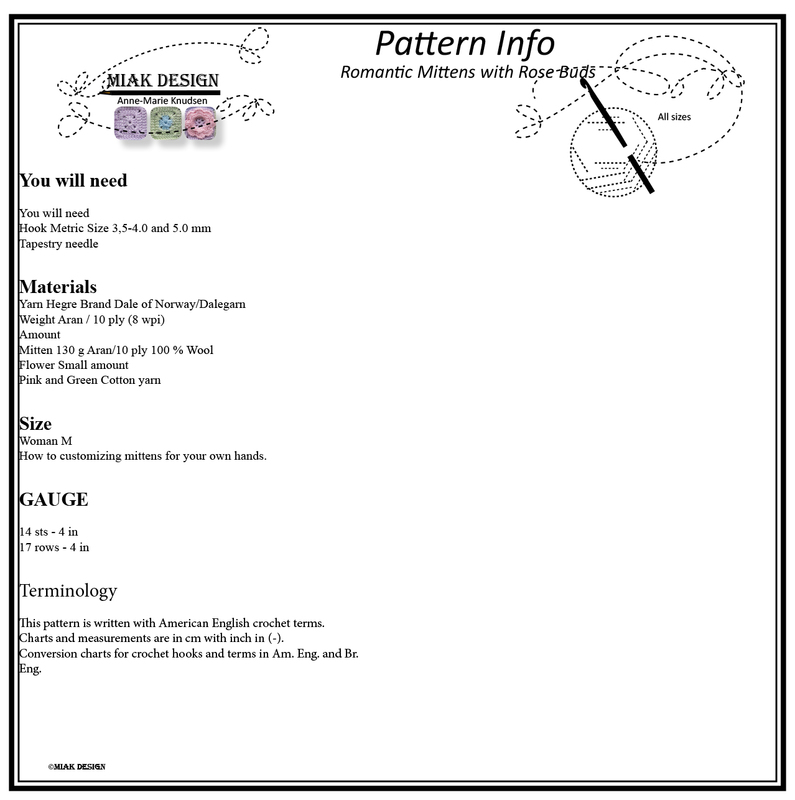 I’ll tell you how in the pattern. 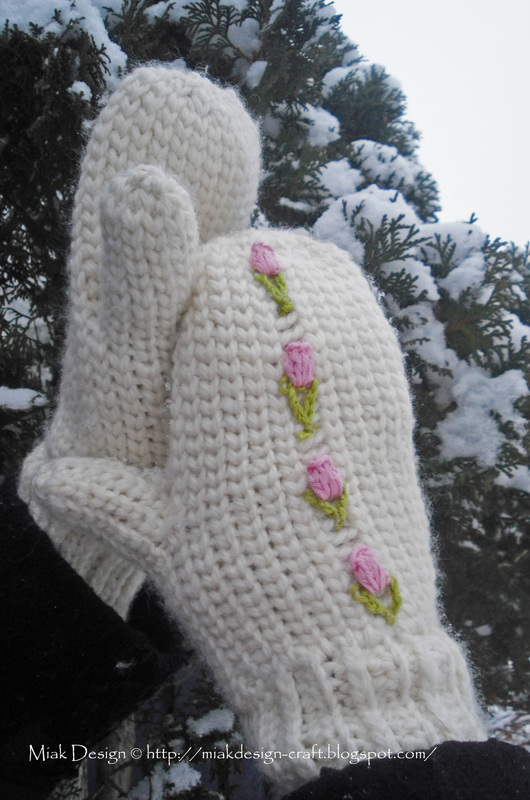 Rose buds are crocheted directly onto the mittens to finish.